We are proud to work with the New Jersey Devils...3 time NHL Stanley Cup champions. 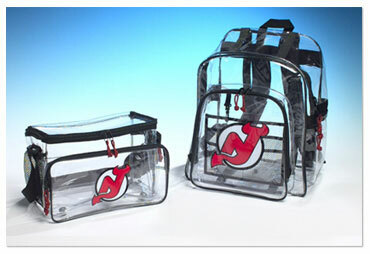 The Devils currently carry the Freedom Utility Bag and the Large Backpack in their 2005-2006 merchandise catalog, as well as their online store. Visit the Official Devils Shop online or call the Devil's Den at 1-800-618-3211 to place your order.